Last year at this time I wrote about who you want to be in 2008. This year I would like to touch on goal setting and how to create goals that will help you have a wonderful 2009. The biggest mistake I see is unrealistic goals. For example, a 2009 revenue goal of $200,000 is a great goal if your revenue was $160,000 in 2008. An increase of 25% is reasonable and realistic if you create the actions and marketing plan to close the gap. If however you did $50,000 in 2008 such a large increase is not likely to happen and is more like wishful thinking. Action Step for 2009: Set reasonable and attainable goals. The second mistake I see is making one large revenue goal for the year - one big goal but no smaller goals to get where you want to go. 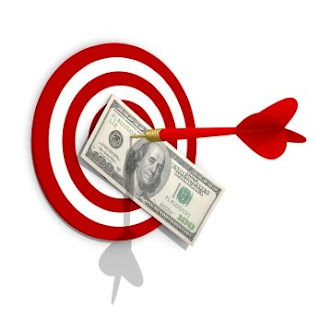 If you want to bring in $200,000 in 2009, you need smaller goals that lead up to the big revenue goal. Think of your goals like a pyramid. Your revenue goal belongs up at the top of the pyramid. Your smaller goals help you achieve the bigger goal and they support the structure of the pyramid. The last mistake I want to touch on is: What held you back from real success in 2008? Be honest with yourself. I am willing to bet that you need to take more risks to attain the success that you really want. Make a goal that will support you in getting real exposure for your business in 2009. Make sure it gets you out of your comfort zone – when you’re comfortable, you’re not growing, and when you’re not growing you won’t easily reach your goals. Action Step for 2009: Get out of your comfort zone!!! !